We’re back at the FIT Show 2014! We are pleased to announce that we will be returning to the Fabricator Installer Trade Show (FIT Show) on the 10th–12th June, where we’ll be exhibiting our latest innovations in high performance glass. Following on from the great success of the first exhibition in 2013, where Almost 6,000 visitors poured through the doors to visit 170 exhibiting companies, the FiT show will be making a return this year to the Telford International Centre. Embraced by exhibitors and visitors, the FiT Show offers the perfect opportunity for the industry to showcase the latest innovative products and services that it has to offer, at the only exhibition organised specifically for the UK glass and glazing industry. 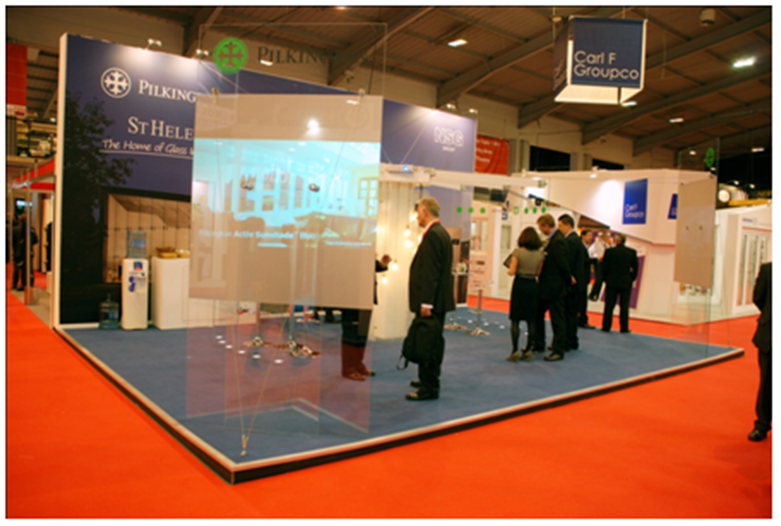 Come and visit our team on stand 236 in Hall 2 where you will be able to discuss our recently launched products: Pilkington energiKare™ Advantage, a highly energy-efficient insulating glass unit that delivers delivers U values as low as 0.9 W/m²K, a figure previously only associated with triple-glazed solutions, without the related increase in thickness and cost. By combining Pilkington K Glass™ OW on Surface 4* of an IGU with Pilkington Optitherm™ S1 Plus ultra low-emissivity glass on Surface 2** a very low Ug-value of 0.9 W/m²K can be achieved. Put simply you get triple performance with only two panes of glass! This is achieved by combining By combining Pilkington K Glass™ OW on Surface 4* of an IGU in combination with another low-e glass on Surface 2, our research shows that a Ug-value as low as 0.9 W/m²K can be achieved; put simply you get triple performance but with only two panes of glass! The second product being showcased at the Pilkington FIT Show stand is the world’s first commercially available vacuum glazing, Pilkington Spacia™. With a total thickness of just 6mm, the glass offers a thermal performance equal to or better than most low-e double glazing in the same thickness as a single glass pane - ideal for use in listed properties or buildings in conservation areas. Finally, there will be the innovative fire-resistant glass product, Pilkington Pyroclear®, which remains transparent in the event of a fire to aid evacuation. Do pop along and say hello if you have any questions. Andy McDowell, our Commercial Director here at Pilkington UK, said: “There have been a number of ground-breaking additions to our product range over the past 12 months, and our focus remains on performance, quality and value.